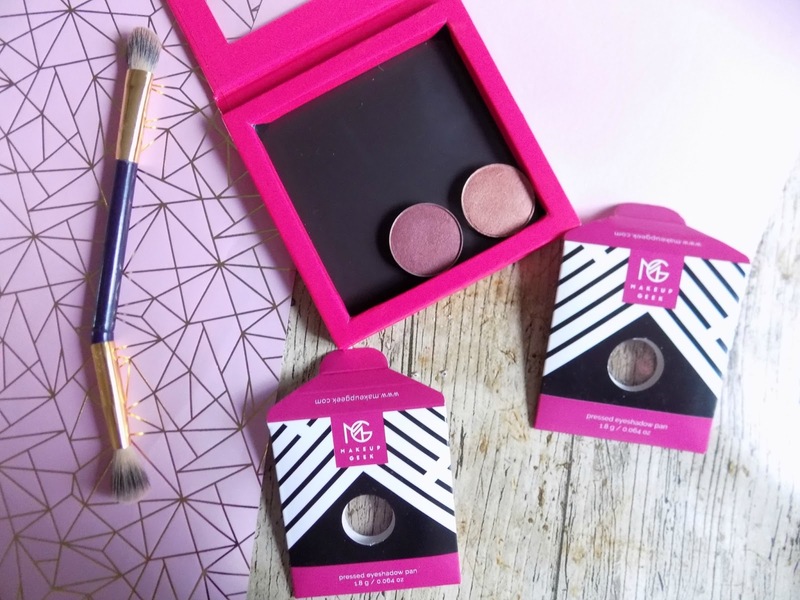 Can you believe it, until now I have never tried anything from Makeup Geek, I know bad blogger! 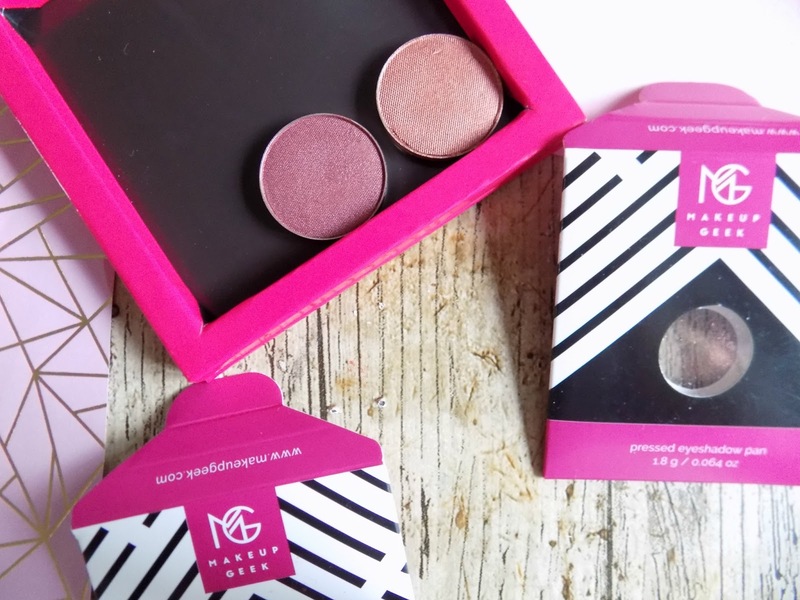 well that has been rectified since I received 2 eyeshadows and a Z palette from my bestie Hayley from HaySparkle for my birthday this month, I needed to know if they lived up to the hype, and I can honestly say I am already obsessed. 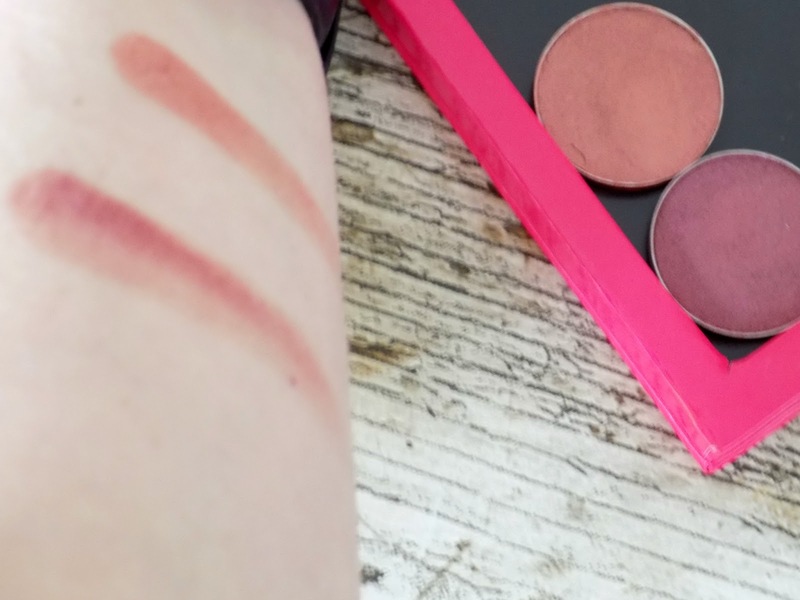 Anarchy is a stunning shimmer pinky/red shade, and Roulette is also a shimmer in more of an orangey/bronze, both shadows are highly pigmented, a buttery formula that blends a dream. They are both so pigmented they can easily just be swept over the entire lid and blended out for a simple day look, both the above swatches are just one swipe. The quality of these shadows defo hold up to more expensive brands such as Mac and cost half the price. 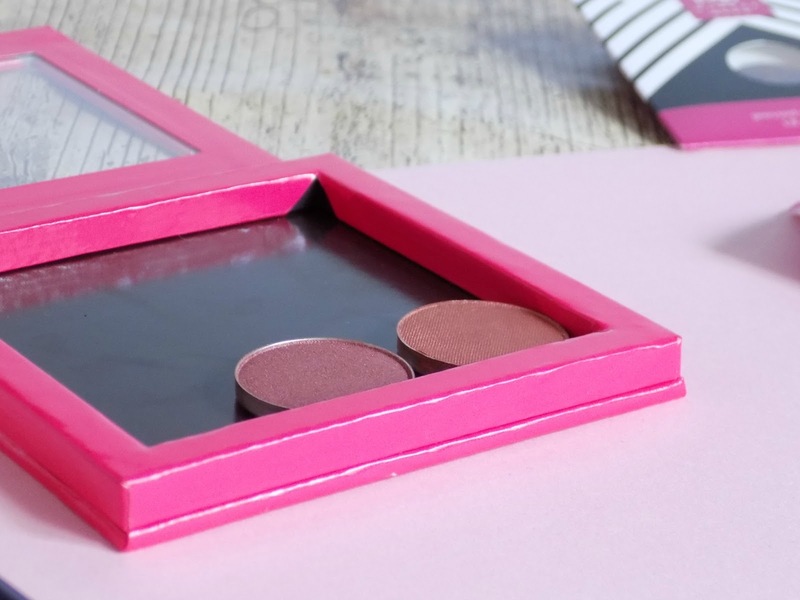 I also love the idea of making my own palette, perfect for me, no more having shades I just won't use. I'm looking forward to building my perfect palette, in fact I have just placed an order for 2 more pans, whoops!! What Makeup Geek shades do you recommend? These shades look really gorgeous! 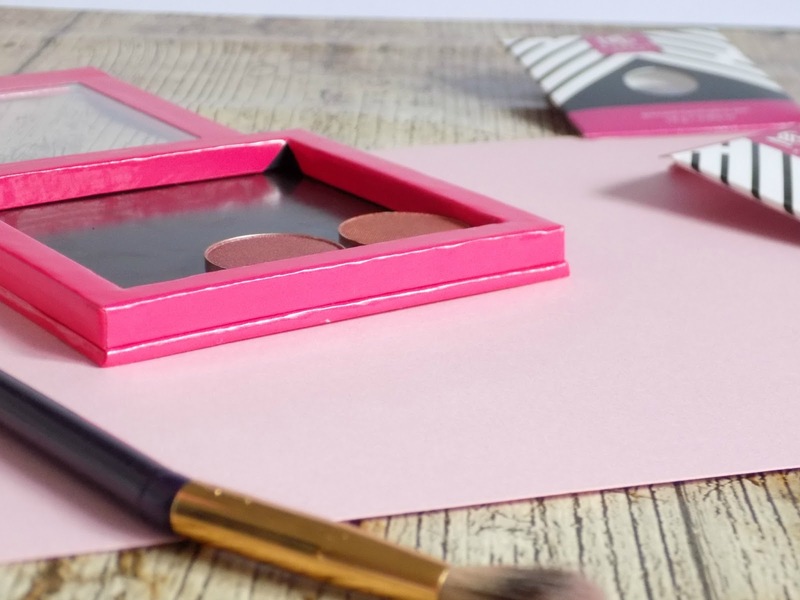 I really want to try a couple of Makeup Geek shadows but I'm trying to save my money at the moment, argh! Oh I had never heard of this before but it's such a good idea and they look really pretty.